» Curious Sustenance Release Party – And the winners are…! Curious Sustenance Release Party – And the winners are…! I know I said I’d put numbers into a generator to choose my winners, but as the comments came in, I realized that would include a lot of counting. Numbers don’t like me and I barely tolerate them, so I did it another way! 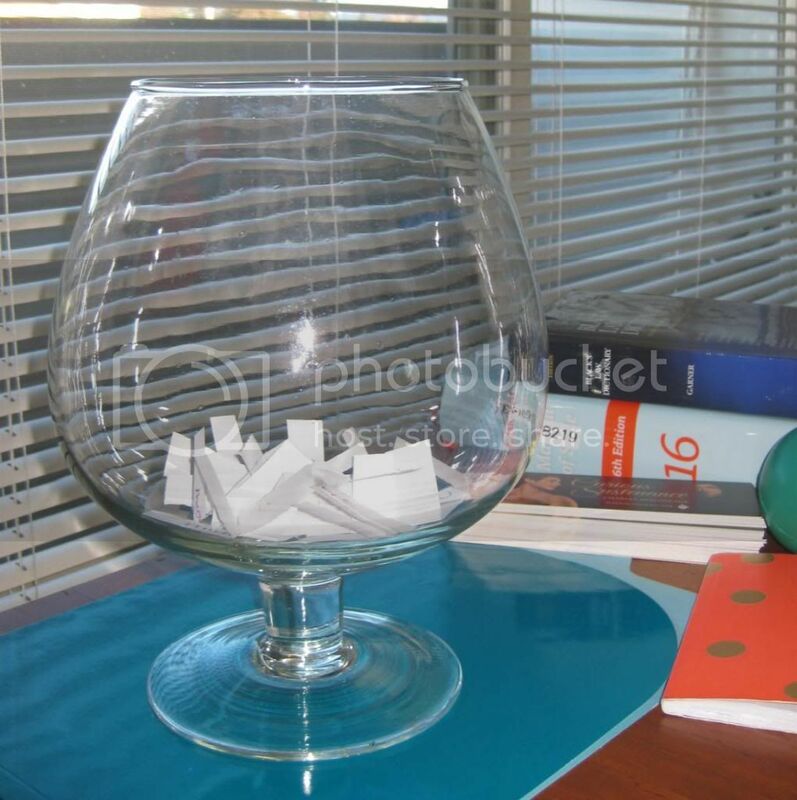 After each individual comment I jotted the name onto a slip of paper and tossed it into a glass. It was fun watching those little guys multiply! and Maneki-neko will soon be hanging in there on Helen’s phone! Please send me an e-mail at c.descoteauxwritesATgmail.com and let me know where to send your prize! Thanks so much to everyone who visited, commented, or just lurked! You-all made the party! Charley, you are too funny with that parenthetical statement there. Thank you, dah-link, it was fun to hang out with you and the others today. Now, to email! I have to get my fun where I can, don’tchaknow!